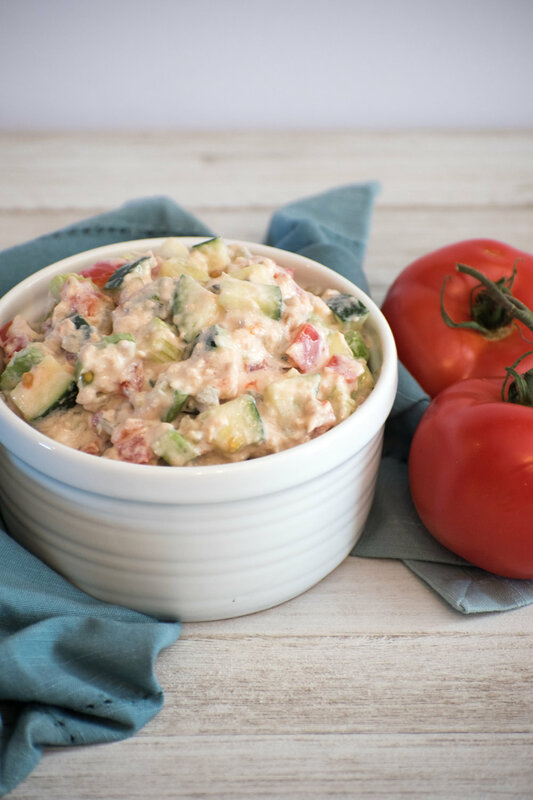 Adding fresh vegetables to our tuna salad makes this a hearty, and healthy, appetizer or snack. Combine all ingredients. Chill to 33° to 39° F before serving.